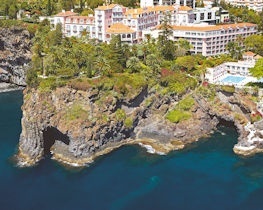 Quinta do Monte Hotel & Panoramic Gardens is situated in the historical leafy village of Monte high above Madeira’s capital Funchal. 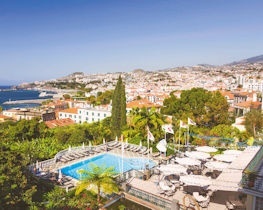 Spacious rooms boast views over the surrounding gardens and, although the centre of Funchal is easily accessed by cable car, relaxation and tranquillity is the order of the day. 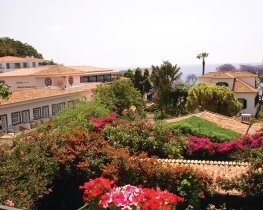 The a la carte restaurant serves Madeiran and international cuisine with light meals and refreshments available at the café and the cocktail bar is ideal for a drink in the evenings. 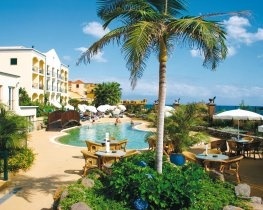 An evening dine around concept is also available at other Charming Hotels. The hotel houses a library and reading room, a fitness room and an indoor heated swimming pool, as well as a small chapel within the grounds. 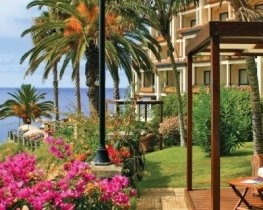 A member of Charming Hotels Madeira group. For selected stays between 01 October 2019 & 31 October 2019 receive 1 free night in 7 and 2 free nights in 14. 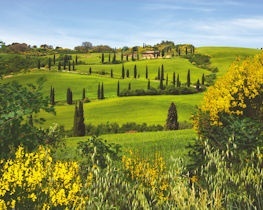 For selected stays between 01 November 2019 & 29 February 2020 receive 1 free night in 7 and 2 free nights in 14. Honeymooners receive a fruit basket, flower petals in bed & sparkling wine in room on arrival. for bookings made between 18 April 2019 and 30 April 2019 and arrivals between 18 April 2019 and 30 April 2019. Prices apply to all rooms. Honeymooners receive complimentary fruit basket, flowers, sparkling wine and breakfast in the room when requested. for bookings made between 18 April 2019 and 31 October 2019 and arrivals between 01 May 2019 and 31 October 2019. Prices apply to all rooms. Honeymooners receive a fruit basket, flower petals in bed & sparkling wine in room on arrival. for bookings made between 18 April 2019 and 30 April 2020 and arrivals between 01 November 2019 and 30 April 2020. Prices apply to all rooms. Guests receive 30% discount on green fees at the Palheiro, & Santo da Serra Golf Courses (payable locally). for bookings made between 18 April 2019 and 31 October 2019 and arrivals between 01 May 2019 and 31 October 2019. 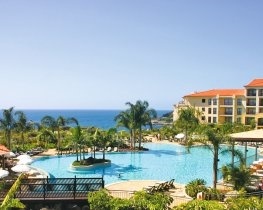 Prices apply to all rooms..
30% discount on green fees at the Palheiro, & Santo da Serra Golf Courses (payable locally). for bookings made between 18 April 2019 and 30 April 2020 and arrivals between 01 November 2019 and 30 April 2020. Prices apply to all rooms..